We are pleased to announce that tickets for our spectacular Griffins Spring Raffle are on sale now!!! We have some amazing prizes up for grabs including return travel to London with dinner, £100 to spend at John Lewis and afternoon tea. See below for a full list of all the prizes! Tickets are £1 each, or books of 5 are available. You can buy them at all Griffins training sessions and local leagues, or by messaging us. The draw will take place on Tuesday 7 May 2019. Sport England – National Lottery Funding Awarded! 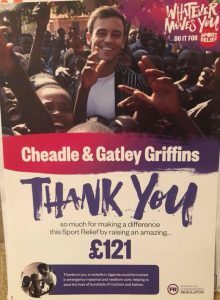 We are so pleased to announce we have been awarded a generous amount of National Lottery funding to start a project called You Can Dodge at Griffins! This will begin in May with a new men’s open session. Thanks to everyone who plays National Lottery games for your support! WELCOME TO THE NEXT CGG QUARTERLY NEWSLETTER! It’s been another busy quarter at the club, and a great start to Season 2! We are delighted to have launched our new juniors session in September! We had a great launch session attended by Councillor Holloway and lots of enthusiastic children! It is lovely to see so many enjoying the sport, lots are brand new to it or have only played a handful of times at school. We split each session into U11s and U16s to ensure the juniors are playing in their appropriate age category. 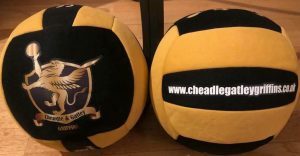 Our ladies sessions continue at Cheadle College each Tuesday 7.45-9pm. We are actively looking to recruit new players, so bring a friend along and you and they will get the session free. Please help us spread the word via Social Media etc too. Kate Pickup successfully completed her level 2 last month, huge well done. Jordan Black has joined the club to assist with the junior side and undertakes his Level 2 in December. He is very popular with the juniors and brings his own unique style to coaching! Steph has been kindly helping with the junior sessions wherever she can, and running some great ladies sessions. Aden Woodall from Bees/Lions also came over to give the juniors some inspiration and deliver a super session to them. The ladies benefited from an amazing guest session by Sam Wrench, England women’s development coach. As well as planning the sessions, the coaches all deliberate weekly to choose Most Valuable Players (MVP) and have lots of input into the competitive meets as well as weekly training. 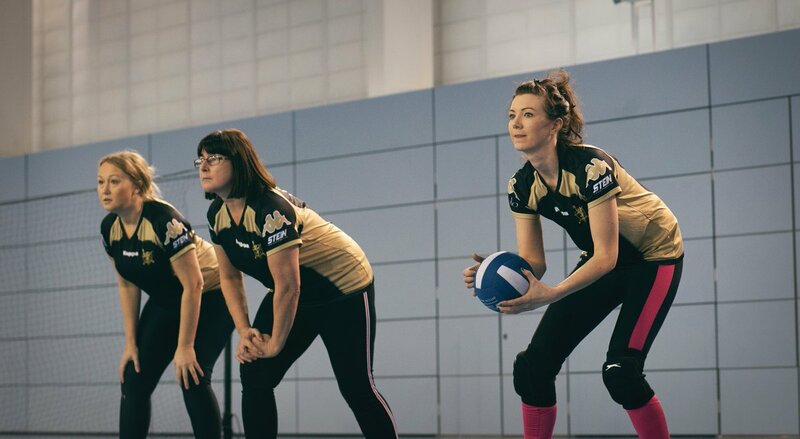 Season 2 has seen us enter 3 ladies British Dodgeball Opens so far, these have been Stafford, Yorkshire and Manchester. All a great experience. We hope to be able to offer the juniors Open opportunities next year once their confidence has increased. 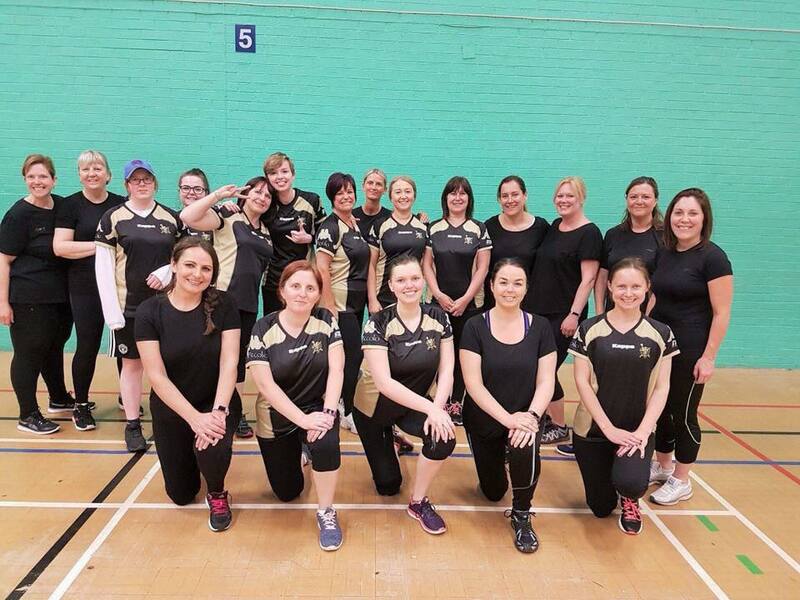 At the end of last season some of the ladies also took part in the Delicious Express Open which brought lots of the dodgeball community together and raised money for the Make A Wish Charity. After Griffins thoroughly positive experience of the pilot British Dodgeball city league, we signed up 2 teams for Round 2 which is as enjoyable as ever. It’s a mixed league and we are fortunate to have some great guys playing with us again, giving us a different experience of the game. To us it epitomises the inclusivity of the sport! The ladies have also entered National League 1 this season at the mighty St Georges Park. 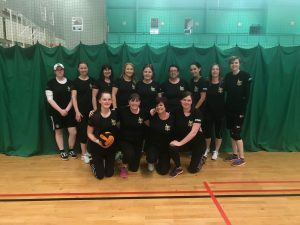 The first round took place on 3/11/2018, with the ladies coming away with 1 loss and 1 win. Lots to build on! Meanwhile the juniors started the Manchester City League. We have an U11s and an U16s team taking part and we couldn’t be prouder of them, many are brand new to the sport and their enthusiasm, energy and desire to progress is infectious! We plan to have a pre-Christmas collection for Emmeline’s Pantry, our CGG chosen charity. Emmeline’s is a Manchester food-bank with a difference. It helps women that have found themselves in difficult circumstances, and their children. You can read more on their website. If any newer members wish to order training tops or tournament tops let us know. These have been hugely popular! CGG have customised balls too and if you want your own you can buy for £10, great stocking fillers! We are hoping to have junior-size kit samples later this month. We are embarking on an exciting project with British Dodgeball funded by Sport England called Come Join In. This plans to engage more 14-16 year olds by delivering taster sessions in local schools, and signposting them to the club. Emma M and Linzi undertake their refereeing course later this month. Mia from our juniors has opted to put dodgeball on her DofE form, we know she’ll make a great young leader. Don’t forget you can follow us on insta/ Facebook/Twitter for all our news. We had a very funny awards night in September at Nueve in Didsbury, thank you to all that came! Our ladies Christmas party is 14 December. 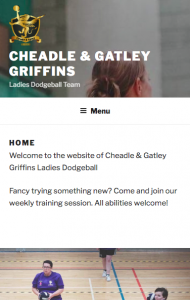 The winners of our travelling Griffins Top Competition were Louise and Caz, who both won a CGG dodgeball! The competition was great fun and we will re run it next summer! A junior raffle at our Halloween session raised funds for the club and saw lots of great prizes being won! Please follow our Facebook Page and join the relevant groups for all tournament/league details etc. It’s great to have these look backs over the past few weeks as it really makes us realise what we’ve achieved! Our sessions continue at Cheadle College each Tuesday 7.45-9pm. Despite it being in the midst of holiday season we are maintaining great numbers week in week out. We’ll keep you posted about summer holiday arrangements, but are hoping to keep the sessions going throughout July/ August. As long as there’s demand we’ll deliver!!! We’re really pleased that Anna and Steph successfully completed their level 2 in April. Steph has been running some great sessions for us, check out her bio on our website. Unfortunately Anna broke her finger badly on the day, but now it’s healing is looking forward to getting stuck back in at the club!!! There is a level 2 running in Manchester on 8th July. If anyone is interested please speak to us as there may be potential for subsidy. We took part in the Manchester Open in April and thoroughly enjoyed it. The British Dodgeball Opens are always a great opportunity to develop and learn from the experience. 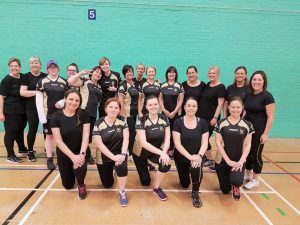 They also enable us to meet the fantastic wider dodgeball community. Don’t be afraid of joining us on one if you’re new to the club. New season open dates should be released in July so we will get a planner going once out. We also took part in a friendly with our friends Wirral Warriors in May which was great fun. We look forward to seeing those great girls again soon! which enabled us to enter 3 teams!!! Feedback from our members has been ace! All the ladies are enjoying and developing from it. As a club we are loving the opportunity to mix it up with the guys, and other club members that have joined us. 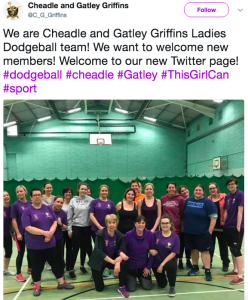 It shows the amazing diversity of Manchester dodgeball … we have MUDS/Bees/Griffins/Storm all playing together, all levels of experience which epitomises the inclusivity of the sport! We look forward to the next 3 meets and to see what British Dodgeball have planned from Sept onwards. We are thrilled to have adopted Emmeline’s Pantry as our CGG chosen charity. Emmeline’s is a Manchester food-bank with a difference. It helps women that have found themselves in difficult circumstances, and their children. You can read more on their website . We have done 2 collections for them so far, a toiletry collection in May and most recently a clothing collection. Your generosity has been overwhelming and we look forward to continuing to support them. 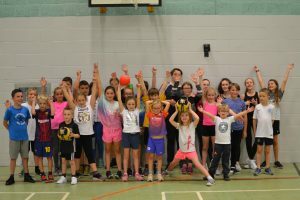 In May we successfully applied and were granted council funding to develop a community children’s dodgeball club. The council were very keen to support this. So we are excited to be starting a children’s element up in September at Cheadle College each Tuesday from 6.30-7.30pm. Any help in supporting sessions / publicising them will be most appreciated, and do please bring your little Grifflets along! We love spreading the dodgeball word and getting people involved in the sport we love! Emma M & Linzi delivered a session to Gatley Guides in May. Not sure if the girls or the ladies enjoyed it more!, but it was a great evening and we’ve promised to repeat one in autumn. 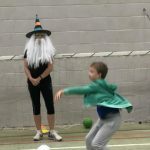 Gatley Sports Day took place in April and we went along and got lots of people playing dodgeball!! Don’t forget you can follow us on insta/ Facebook/Twitter. We’ve enjoyed a couple of lovely socials at our sponsor restaurant Piccolo, and most recently Yara. Our social secretary is busily arranging the next! Don’t forget we have a competition running throughout the summer months. Post pics of you wearing your Griffins tops on tour and 2 of you will be randomly selected to win a CGG customised dodgeball. Get snapping your summer adventures! Please ask if you would like any further information on any of the above. Welcome to the first CGG quarterly newsletter! It’s been a whirlwind few weeks for the club to match up to storm Emma. Firstly, we are now a self funded club. This has been necessary due to funding coming to an end for the Life Leisure project “I wish I’d tried” that originally enabled Kingsway Queens to establish. In order to sustain the club we all love we have had to become self sufficient. 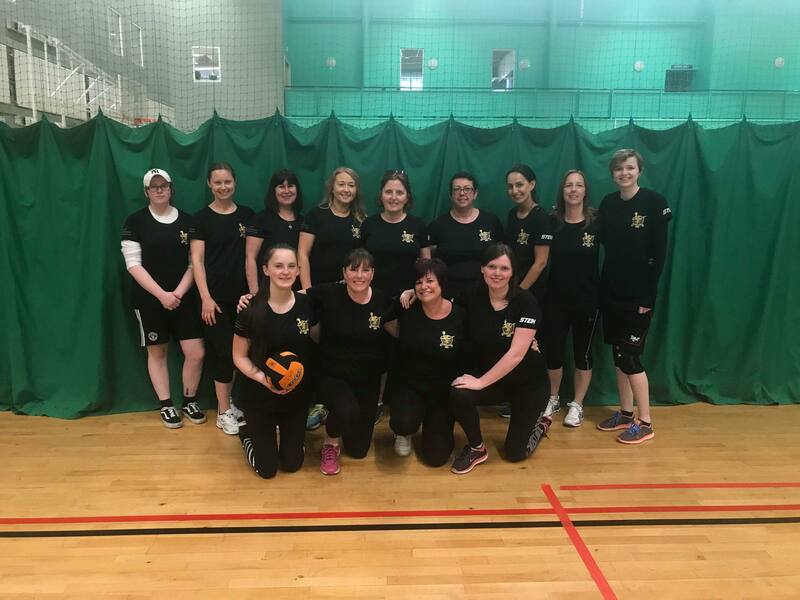 This coincided with Emma and Linzi successfully completing their level 2 coaching qualification, so they have taken on the role of running the sessions currently. We would like to sincerely thank you all for being incredibly supportive. We have all pulled together and we hope this signals new beginnings for the club. It’s a very exciting time, and we all seem to share the desire to make it a success. This is OUR club, let’s own it girls! Clearly now we are self funding, one of our main objectives needs to be to maintain the fantastic number of players we have had turning out each week. It’s been great to welcome new players and many of our members that started at the beginning of the year are returning week after week. You’ll have noticed the onslaught of Social Media promotion! We now have our own Facebook, Twitter and Instagram pages. Please share social media as widely as possible to continue to spread the word. 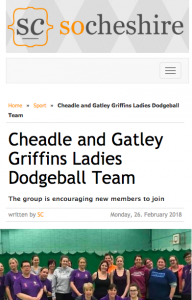 We are now a British Dodgeball Member Club. This is subject to an annual fee, and provides us with public liability and personal insurance. It enables us to enter all BD tournaments and league events and receive support from BD. Check out their website www.britishdodgeball. org and Facebook. Both have lots of great information. There are additional roles if anyone would like to volunteer. Huge thanks to Mr and Mrs Rooney (not Wayne and Coleen) for designing it for us, they have done us proud. As well as our basic club and training details there are also links to rules and all our club documents. We are now live with our own Twitter, Facebook and Instagram pages, and have gained a huge amount of followers! Please give us a follow if you haven’t already and share posts to spread the word about our club. We are having a real life social on Friday 23 March 8pm at Picollo—hope you can make it! We are excited to have had some media coverage! So Cheshire featured a great press release, Salutions publish- ers have 4 local lifestyle magazines, and mentioned us in their Didsbury Life edition. They are developing their new website and have said they want to feature us on it, watch this space. We also have a short interview about the club’s development next Thursday 8 March on Wythenshawe FM 97.2 scheduled for 1.20pm. Tune in if you can! We are pleased to announce that Piccolo Restaurant and Bar in Gatley Village have offered to sponsor us this year! This will help with running costs of the club and to purchase some new equipment we need. We will keep you posted! We look forward to our first social of the year at the venue on 23 March. In addition, Stein in Hazel Grove have generously provided us with some funding towards new training kit. We will have more news on this soon. We are really grateful for the support from both of these organisations to help us get off the ground. 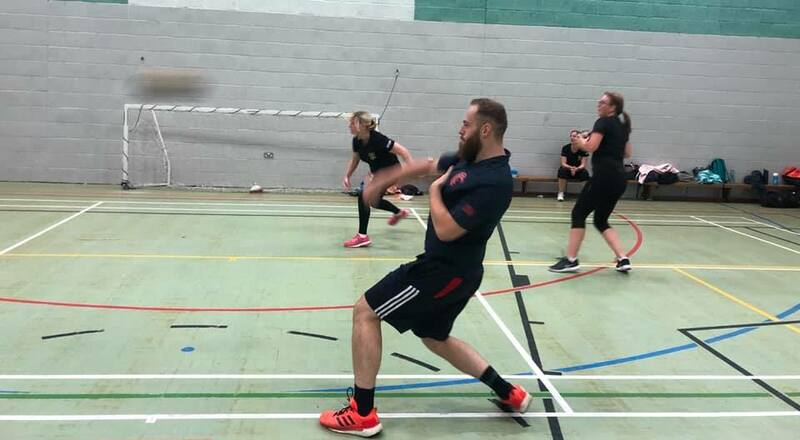 Emma and Linzi qualified as level 2 British Dodgeball coaches in February. Neither have come from a coaching background so it’s been a steep learning curve but a very rewarding one! We are pleased to announce that Steph, Anna and Helen have also signed up to do their level 2, so we will have 5 home grown coaches by the end of May. 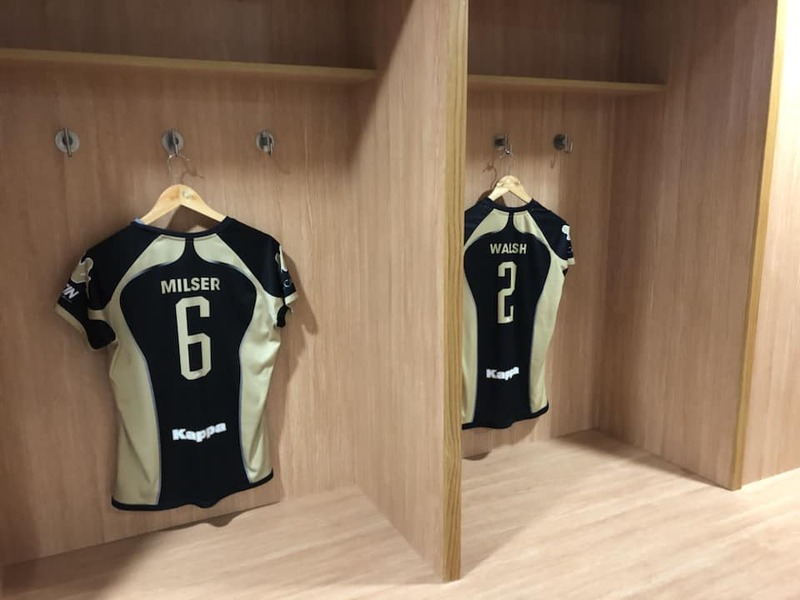 Good luck ladies, not that any of you need it, you will all smash it and bring lots back to the club. Please look out on social media for local upcoming events. 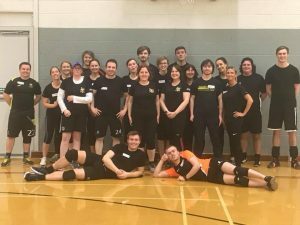 Manchester Bees are a very active dodgeball community and we are lucky to have their experience to tap into. Their all comer sessions are held on Thursday Evenings from 8- 9.30pm at The Academy School in Manchester. We won’t lie, these are gruelling and expertly run by head coach Bru. But they are also great fun, there’s lots of laughter and your skills develop leaps and bounds. Bees are holding a Comic Relief doubles tournament to raise money on Thursday 15 March. This sounds like great fun and a really worthy cause! Finally, Bees are hosting a friendly tournament on 25 March which we will send a team along to. What busy Bees they are…. We’ll give more news on these at sessions. Training continues every Tuesday 7.45-8.45 pm at Cheadle College. As always the main focus of these is fun and fitness!